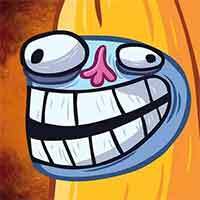 Troll Face Quest is back with an all new, fun trolling sensation: Troll Face Quest Memes! Solve mind-boggling puzzles and beat the wacky memes at their own game! This entry was posted in KAMI 2 on October 7, 2017 by 100doorssolution. Game solution of Kami 2 Page 5 Level 25 Walkthrough – Guide how to fill the screen with one color in 3 moves for kami 2 level 25 ! you can see the moves requirement for each puzzle before you enter it, can you perfect every kami 2 puzzle ? Build and share puzzles, explore user made puzzles and solve kami 2 daily challenge every day ! This entry was posted in KAMI 2 on April 23, 2017 by 100doorssolution. Game solution of Kami 2 Page 5 Level 26 Walkthrough – Guide how to fill the screen with one color in 3 moves for kami 2 level 26 ! you can see the moves requirement for each puzzle before you enter it, can you perfect every kami 2 puzzle ? Build and share puzzles, explore user made puzzles and solve kami 2 daily challenge every day ! Game solution of Kami 2 Page 5 Level 27 Walkthrough – Guide how to fill the screen with one color in 4 moves for kami 2 level 27 ! you can see the moves requirement for each puzzle before you enter it, can you perfect every kami 2 puzzle ? Build and share puzzles, explore user made puzzles and solve kami 2 daily challenge every day ! Game solution of Kami 2 Page 5 Level 28 Walkthrough – Guide how to fill the screen with one color in 4 moves for kami 2 level 28 ! you can see the moves requirement for each puzzle before you enter it, can you perfect every kami 2 puzzle ? Build and share puzzles, explore user made puzzles and solve kami 2 daily challenge every day ! Game solution of Kami 2 Page 5 Level 29 Walkthrough – Guide how to fill the screen with one color in 4 moves for kami 2 level 29 ! you can see the moves requirement for each puzzle before you enter it, can you perfect every kami 2 puzzle ? Build and share puzzles, explore user made puzzles and solve kami 2 daily challenge every day ! Game solution of Kami 2 Page 5 Level 30 Walkthrough – Guide how to fill the screen with one color in 4 moves for kami 2 level 30 ! you can see the moves requirement for each puzzle before you enter it, can you perfect every kami 2 puzzle ? Build and share puzzles, explore user made puzzles and solve kami 2 daily challenge every day ! Game solution of Kami 2 Page 6 Level 31 Walkthrough – Guide how to fill the screen with one color in 4 moves for kami 2 level 31 ! you can see the moves requirement for each puzzle before you enter it, can you perfect every kami 2 puzzle ? Build and share puzzles, explore user made puzzles and solve kami 2 daily challenge every day ! Game solution of Kami 2 Page 6 Level 32 Walkthrough – Guide how to fill the screen with one color in 4 moves for kami 2 level 32 ! you can see the moves requirement for each puzzle before you enter it, can you perfect every kami 2 puzzle ? 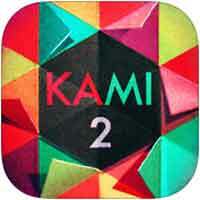 Build and share puzzles, explore user made puzzles and solve kami 2 daily challenge every day !